Google today offered developers a new build of Wear OS for select Android smartwatches. The update chiefly installs the Actions on Google feature that Google announced earlier this month, but it also introduces more power-related enhancements and a dedicated battery saver mode. Google added support for Actions on Wear OS so developers can surface dialog boxes and adopt new ways to display dynamic content. Google Assistant on Wear OS now supports visual cards, follow-on suggestions, and text to speech. The new enhanced battery saver mode will automatically display a power-efficient watch face and turn off services such as the radios, touch screen, and tilt-to-wake. Owners can get the time by pressing the side button, while a long press will wake the watch back to full power mode. Developers can use new tools to ensure their apps don't interrupt enhanced battery saver mode. The new Wear OS offers developers new ways to limit background and foreground services. Health and fitness apps, for example, often need to run in the background while occasionally offering foreground services, such as alarms. The latest Wear OS helps developers find the proper balance. Google nixed one feature from the platform, and that was the behavior that turned off the WiFi radio when Bluetooth was disconnected. Google rolled this feature back after listening to developer feedback from the first Wear OS preview. 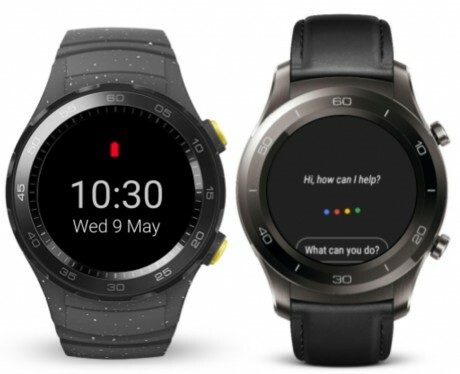 Google says this developer preview includes updated Android Emulator images and a downloadable system image for the Huawei Watch 2 or Huawei Watch 2 Classic. This preview release is intended for developers only and not for daily or consumer use. It is only available via manual download and flash. Google today made the final preview of Android Wear 2.0 available to developers. Google is expected to release the new wearable platform to the public — alongside new smartwatches — at some point in early February. Google today updated its Chrome browser for Android devices with new tools to help reduce data usage, download pages for offline use, and discover more personalized content. To start, Data Saver has expanded to video.